Do you want to turn your current crowded kitchen into a spacious kitchen perfect for entertaining dinner guests? Continue reading to learn the dos and the dont’s of designing the kitchen neither you or your guests will ever want to leave. Do you have a wall separating your kitchen and dining area? If so, maybe consider knocking down a wall to let the kitchen and dining room flow seamlessly together. An open floor plan where the kitchen area flows into the dining area is the perfect way to “extend” the entertaining zone and makes it easier for you to be the perfect host and chef at the same time. A kitchen island bench will quickly become the centerpiece of the room. Not only will it give you extra space for storage and food preparation, but it will also be an additional space for your guests to gather around. To make the cooking experience more inclusive, consider putting an induction cooktop on your kitchen island. This way you don’t have to have your back towards your guests, and they can see your latest culinary creation, making an even better entertaining kitchen. Disclaimer: be sure that you have enough space for your kitchen island to avoid the feeling of the kitchen being too crowded. 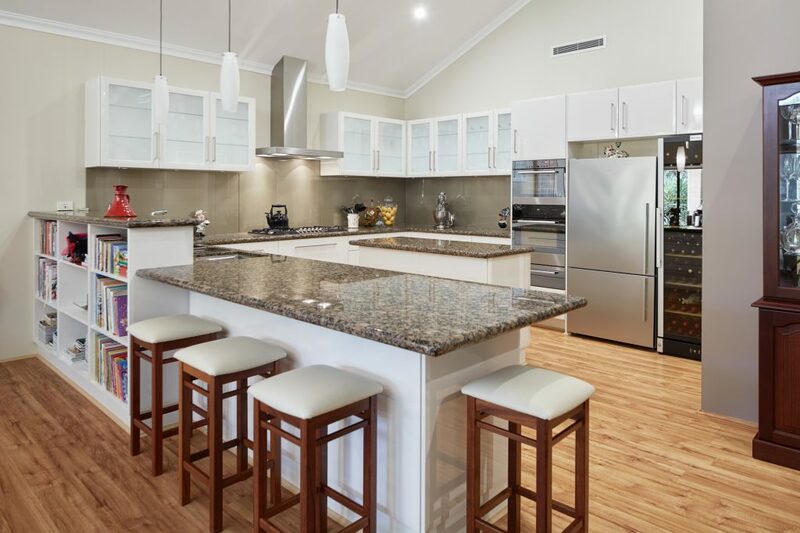 While we are on the subject of kitchen islands, you might want to invest in lightweight barstools to be placed around your island. Make sure they are not too heavy so your guests easily can pick one up and move around the island, remember our guest’s comfort is our top priority! Who doesn’t want a hidden room in their kitchen where they can “hide away ” the mess that you don’t want to deal with until the morning after? Almost like a “kitchen within the kitchen”, a Butler’s pantry is a room perfectly integrated with your kitchen cabinetry. Once used as an area where the butler would store, clean and polish expensive china and keep under lock to protect family heirlooms. This kitchen feature has modernised into a space that will not only provide storage but also adds an extra sense of luxury to your kitchen. A party is always fun, the cleaning, however, not so much. A sink full of dirty plates and glasses will make it even less fun. Investing in two sinks will simplify the cleaning process for you, make your kitchen clutter free and make for a nicer area for you and your guests. Place the two sinks next to each other or, depending on how much space you have, place one in a “hidden” spot in the kitchen or even in your Butler pantry. Lighting is one of the best ways to set the mood. There are many ways to light up your kitchen, saying it is a jungle is an understatement. However, a safe card is investing in dimmable down lights that will allow you to light up and soften the room in an instant. Pendants placed over the kitchen bench, kitchen island or dining table will add warmth and ambiance, setting the mood for your night of entertaining. Is anything more infuriating than when you find that your bench is too small? A common mistake when planning your entertainer kitchen is to ignore just about how much space you need. You’ll need space for preparation, as well as presenting the nibbles. When you plan for your new kitchen, make sure you don’t! The kitchen corner cupboards can quickly become a graveyard and will consequently be a space that is going to waste. 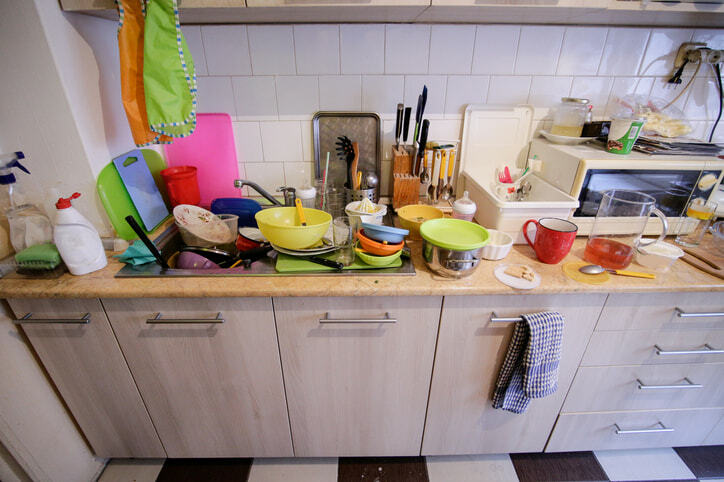 Avoid this by investing in pull-out or rotating shelf fittings that will make access easier. Trends are fads and they pass by. Design with neutral colours in mind and invest in kitchenware that is timeless. A kitchen renovation can be expensive and you don’t want your kitchen to seem passé after five years. When you are planning your new kitchen it is crucial to think about where the most logical placement for each element is. In order to have a good workflow, everything has to be at the right place at the right time. Divide the kitchen into zones: preparation, cooking, and cleaning. How do the zones work together and how do they affect each other? Get help from an expert to give you advice and will make your kitchen even more enjoyable. The kitchen is one of the rooms in the house that probably goes through the most wear and tear. And it is certainly frustrating when something breaks and needs to be replaced. Make sure you spend your money on the right things, and good quality hardware is something you definitely want to spend your hard-earned dollars on. Drawer runners, cabinet hinges and mechanisms such as pantry pull-outs are worth investing in. They are used daily and most likely to fail. There are plenty of benefits you get from renovating your kitchen, besides from improving the value of your house, making your kitchen more sustainable and energy efficient in addition to improving the overall appearance of your entire home, a custom kitchen renovation truly is your chance to create a space you and your guests enjoy and want to spend time in. Kitchens have moved away from being a space where the sole purpose has been preparing food to being an area where you entertain guests and spend quality time with your family. Make the most out of it! 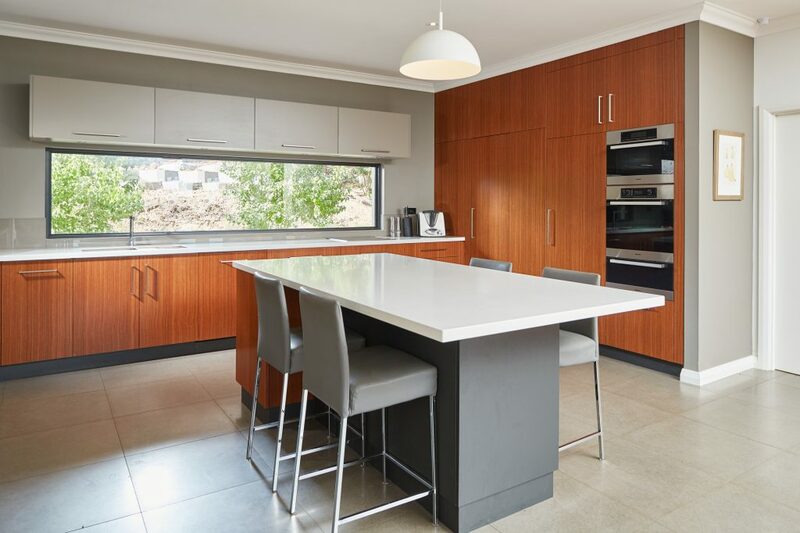 With a kitchen that is designed after your entertainment style, you are guaranteed a kitchen you can be proud of (trust me, you’ll be having dinner parties every other week). At BAC Kitchens, we can bring your dream kitchen to life. Get a free quote today.